Aaron Swartz, in December 2008. The Reddit co-founder, 26, was reported to have committed suicide in his Crown Heights home, and was discovered on January 12, 2013. CROWN HEIGHTS — Aaron Swartz, the 26-year-old web ingenue that sprouted Reddit, a top story-sharing website, was found dead in his Brooklyn home Friday, according to reports and friends. The NYPD said they could not confirm there was such a discovery in the area, on Saturday afternoon. However, officers found Swartz in the building at 9:30 a.m. Friday, according to the NY Post, and police, as well as the medical examiner's office were investigating how he passed away. Michael Wolf, Swartz's uncle, told the New York Times that the young man appeared to have hung himself, and that Swartz's girlfriend found him early Friday. Swartz credited with founding a company that later merged to become Reddit, also reportedly developed an early coding, at the age of 14, for the now-popular RSS format (a story feed that aggregates headlines into a bullet-style format, making them easier for users to find and read) according to Mashable. On Saturday dozens of websites mourned the loss of the internet activist, who advocated for freedom of information online. In 2011 he was federally indicted for illegally accessing JSTOR, a service that warehouses journal articles, and downloading 4.8 million articles with what prosecutors believed was an intent to distribute them freely. JSTOR ultimately declined to pursue the case, after Swartz handed over his hard drives. 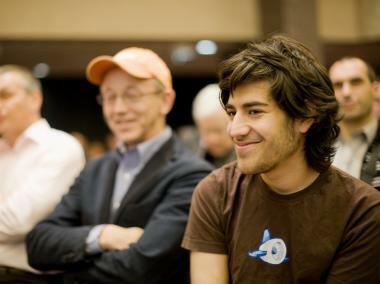 Swartz had apparently suffered from mental illness, as a 2007 blog post re-posted by Mashable revealed, which included confessions that he battled with depression.